Liverpool Football Club today outlined further plans to expand its global digital offering, which will underpin the club's continued international brand and commercial development. Speaking at The Nolan Partners Sport Industry Breakfast Club in London, Reds managing director, Ian Ayre, reinforced the club's long-term strategic plan to grow its digital platforms by offering the global fan base more interactive and intuitive ways to engage with Liverpool. Central to Liverpool's digital expansion strategy is to deliver compelling TV and online content which is tailored to specific markets and accessible in local languages. As part of this coordinated global digital strategy, Ayre announced to the Breakfast Club delegates that Liverpool is set to launch a third dedicated local-language website - this time for fans in China. As of August 2013, Liverpool now has more followers on social media platforms from China than any other country in the world. Liverpool launched an official Weixin (WeChat) account on the first day of the 2013-14 Barclays Premier League season with a mixture of audio messages in English and Chinese delivered directly to fans by players including club captain Steven Gerrard. The new Weixin account follows the launch of an official presence on the Tencent Weibo platform in December 2012 - an account now followed by more than 765,000 fans. In August 2011, Liverpool became the first English football club to launch an official Chinese social media account with a fully-localised presence on Sina Weibo. The launch of an official Chinese Liverpool FC website later this year follows the creation and successes of the club's first local-language websites in Indonesia and Thailand in May and June respectively. Liverpool now has 34 official social media accounts, including 17 official international Twitter profiles - 12 of which are local-language accounts and five of which are country specific. The club also has an official Russian-language presence on VK.com and five international Facebook profiles localised for individual markets - making it the world's most digitally engaged football club. 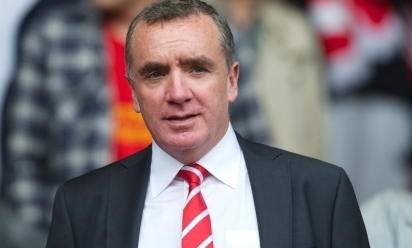 At The Nolan Partners Sport Industry Breakfast Club, Ayre said: "Liverpool FC is a Premier League pioneer for innovation, brand development and international fan engagement. "Central to our international brand strategy is the club's revolutionised digital output, which is interactive, inclusive and localised to individual territories - delivering content which is tailored to specific markets and accessible in local languages. "We are one of the best known football clubs globally and it is a great source of pride that our fans come from all areas of the world. Liverpool FC wants to show its commitment to bringing the club closer to our fans, whatever age they are, wherever they may live. "They are the foundation of Liverpool FC and we need to engage with them by embracing new technology and creating appealing and exciting digital content. "Extending the Liverpool FC brand beyond borders and connecting with our 200 million global fans also makes good commercial sense for the club and will help us achieve a competitive advantage on and off the field. "We can create added value for our corporate partners and maximise the international commercial opportunities that benefit everyone at the club, including the players, coaching staff and the global community of fans across the world."